Today Insight Editions and HBO Licensing and Retail announced a list of new books being released throughout 2019 in their Game of Thrones publishing program. Celebrating the conclusion of the series, this definitive four-book collection offers a fitting tribute to a show that has captivated audiences for the last eight years. William Simpson, a comic artist based in Northern Ireland and lead storyboard artist for Game of Thrones shares the painstaking work that goes into assembling each episode of Game of Thrones. This deluxe art collection features a unique behind-the-scenes look into pivotal moments and early conceptual art from Game of Thrones. 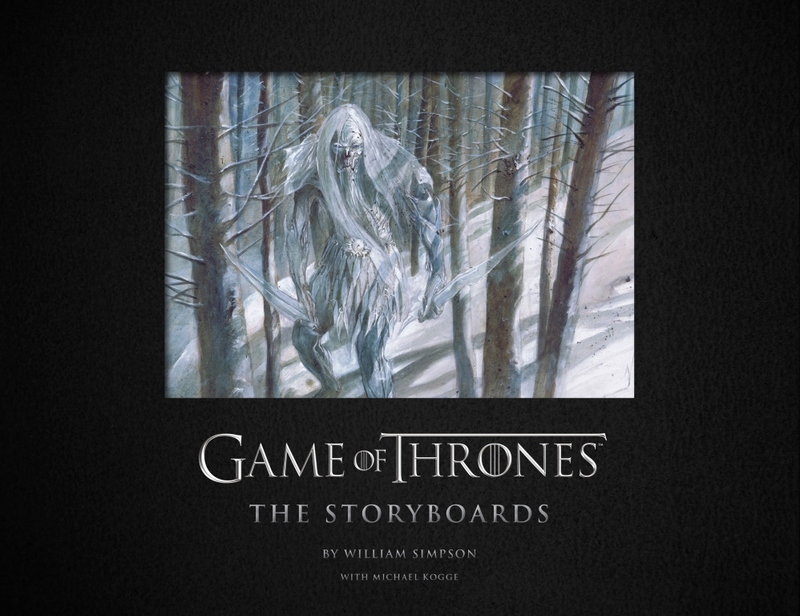 Game of Thrones: The Storyboards is the definitive compendium of storyboards from the award-winning show and has been curated from Simpson’s extensive archive. This revealing collection represents the exemplary artistic development and captures the impressive scope, rich development, and artistry in one of the most visually dynamic shows on television. Since its first season, Game of Thrones has been one of the most popular and successful television shows ever created. Beautifully crafted and presented in a deluxe large format, The Art of Game of Thrones, is the definitive Game of Thrones art collection. Filled with gorgeous illustrations and artwork as well as previously unpublished works of art the book presents a visual chronicle of the meticulous work done by artists to bring the world of Westeros to life. The Photography of Game of Thrones is the definitive photographic collection of the hit series. Compiled by Helen Sloan, the official principal Game of Thrones unit photographer, this deluxe compendium features the best of her collection along with the work of the unit photography team. Bold and gorgeously crafted, The Photography of Game of Thrones, captures in striking detail the scope and nuance of the show, celebrating a world of iconic characters, shocking moments, breathtaking locations, and much more. The book compiles the most iconic shots from the acclaimed show and offers a rare peek behind the scenes of one of the most popular and revered television shows of all time. From the practical, layered fabrics of Winterfell to the finery of King’s Landing, the costumes of Game of Thrones play an integral part in transporting viewers to the land of Westeros and beyond. Michele Clapton, Emmy Award- winning costume designer for Game of Thrones, shares some of the intricate detail and boundless imagination behind the costumes from the series. This deluxe book celebrates the incredible artistry involved in creating each outfit, with beautifully detailed photographs of the costumes and behind-the-scenes details.